In the sprawling and complicated city of New York, it’s hard to know where to begin. Luckily, on this 3-hour private tour, you can skip the hassle of cobbling together an itinerary and figuring out the maze of subways. Your personal guide, a native New Yorker, has done all the work for you and created a tour of Lower Manhattan’s most exciting spots to check out. After hotel pickup, simply sit back in your limo and enjoy the ride. You’ll have the option to get out at most locations to explore and take photos. Your tour begins in the historic West Village, the original stomping ground of New York's bohemians and now home to some of the city's powerhouse citizens. 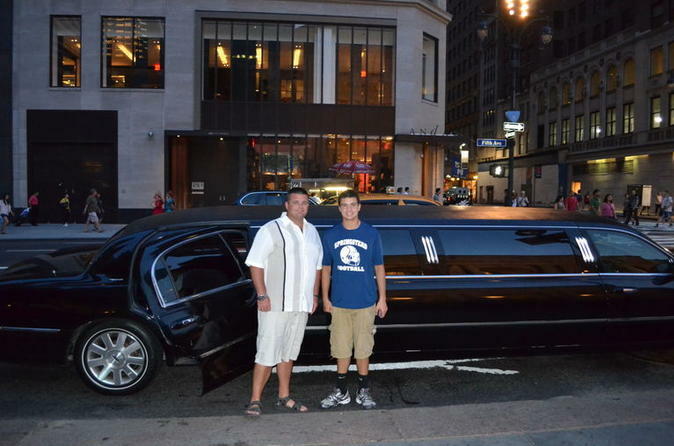 Fit right in as you travel by limo. Cruise through SoHo’s trendy art galleries and boutiques and TriBeCa, site of the famous film festival, listening to historical and colorful commentary along the way. At the World Financial Center overlooking the Hudson River, see Ground Zero and the Winter Garden, a stunning 3-story barrel-vaulted glass atrium. Then gaze at the impressive boats at South Street Seaport, a cobblestone dock. Cross the Brooklyn Bridge, one of the world's first suspension bridges built in 1870, and reach Brooklyn Heights Promenade for one of the most spectacular views of Manhattan's skyline. Admire another forerunner of modern suspension bridges, the Manhattan Bridge, used by over 350,000 commuters each day. Traffic permitting, drive through Chinatown, home to the largest Chinese population in North America, and adjacent Little Italy, a neighborhood with more than 20 historical landmarks. Learn about their rich history related to US immigration from 1800 to 1965. At the end of the tour, your limo transports you back to your hotel. If you’ve opted for the 5-hour tour (see below in Itinerary), your luxurious urban adventure continues in Upper and Mid-Manhattan.